Isn't that a fabulous cover? They were the first and only all-female gang in the American West. Though the newspapers refuse to give them credit, their exploits don’t go unnoticed. Now, they’ve got a rival male gang on their trail and an old score to settle. Hello, my name is Melissa, and I’m an incessant Googler. Right now I’m listening to Edward Rutherford’s novel, New York, a non-fiction history of New York City that is thinly veiled as fiction. That isn’t a criticism in the least. I’m the type of historical novel reader who will stop in the middle of a paragraph and google something to learn more about it. Call me weird, but I don’t just read for enjoyment, I read to learn something. Which is probably why I love historical novels in all their forms – Westerns, mysteries, romances, literary, women’s fiction. When I’m writing my historical novels, I assume my readers are incessant Googlers, like me. On the one hand, that’s more than a little terrifying. What if I get something wrong? (I’ve been lucky so far; only one person has dinged me for an inaccuracy, and no one has caught the rather glaring anachronism across all three books in the Sawbones series. No, I’m not telling.) On the other hand, incessant Googlers are my peeps, and I want to be sure to give them enough fodder to go down at least two or three historical rabbit holes per book. Here are a few things I think HERESY readers might Google. Did Garet and Hattie exist? Was there an all-female outlaw gang in the West? The answer is no, and no. But! Since women have been pretty much written out of history, there’s no proof there wasn’t, either. Yes, Colorado voted on women’s suffrage one year after becoming a state, but it lost handily. The suffragists reorganized and in 1892 it passed. It’s a real place in the northwestern corner of Colorado, near the Utah and Wyoming borders! It is remote and difficult to get to, which is why Butch Cassidy and his gang (and many others) used it to hide from the law in the 1880s and 1890s. One of the POVs is told through an oral history given to a WPA writer in 1936. The slave narrative project is real, it’s fascinating, and it is available in full on the Library of Congress website. You might know there was a Women’s Bureau of the Pinkerton Detective agency through reading Greer McAlister’s historical mystery, Girl in Disguise. If you haven’t read it, I recommend you do. Are you an incessant Googler, too? If so, what is something you googled while reading and were surprised by what you learned? Melissa Lenhardt is the author the Sawbones historical fiction series as well as the Jack McBride mystery series. 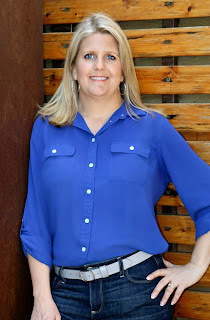 Her debut mystery, STILLWATER, was a finalist for the 2014 Whidbey Writers' MFA Alumni Emerging Writers Contest, and SAWBONES, her historical fiction debut, was hailed as a "thoroughly original, smart and satisfying hybrid, perhaps a new sub-genre: the feminist Western" by Lone Star Literary Life. HERESY is her sixth novel. I’m too lazy to Google while reading. I don’t want to set the novel aside. I might Google somethings after I’ve finished, however. Happy Book Birthday, Melissa . . . I’ve never given much thought to outlaw gangs, but the prospect of a women’s gang is quite captivating. 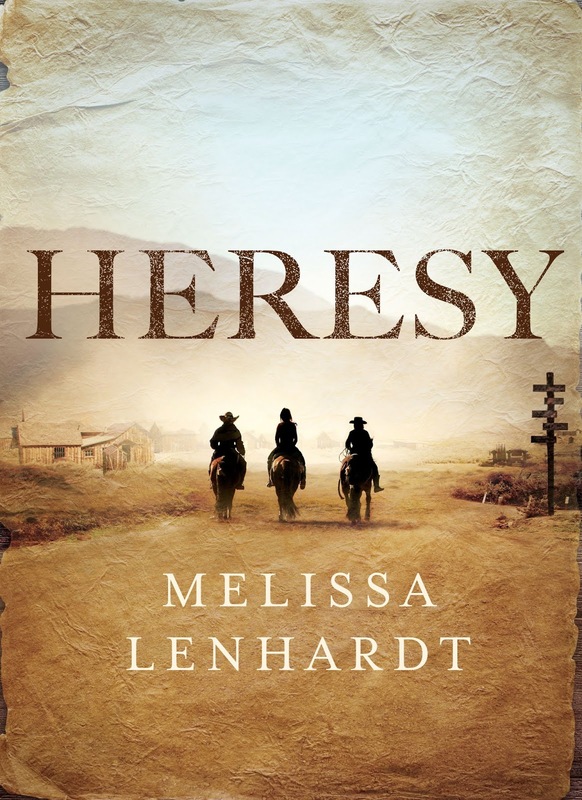 I’m looking forward to reading “Heresy” . . . . I can’t say I’m an inveterate Googler, but since there are no encyclopedias on the bookshelf, Google gets to find the information I need. Yesterday I was looking for information on indoor cat trees . . . .
Melissa, I grew up on Westerns on television, and it must have instilled an interest in the stories of the Old West. It's funny though because I might not think I want to read a Western novel, but then the history of them grab me. And, I have been known to google something while I'm reading. One of my greatest pleasures is going down historical rabbit holes. I am putting Heresy on my TBR list for sure. And, thanks for reminding me about Girl in Disguise. I actually own it, but I haven't read it yet. Note to self: put it in short stack TBRs. I'll have to think about the most fun thing I've Googled lately. Tonight I did Google "Count Down to Halloween" images, and the 30 day one is on my FB page. Congratulations on the new book, Melissa! It sounds intriguing. Part of my job is to research and write "fun" program notes for evenings of classical music. I don't delve into the musical structure of a piece, but I love to dig up dirt on the composers. For instance, did you know that Rossini was an outstanding cook? Or that the premiere of Tchaikovsky's 1812 Overture was pretty much the Murphy's Law concert from hell? And did you know that, when band leader Paul Whiteman once asked George Gershwin to write a "jazz concerto" for an upcoming concert, Gershwin thought he told Whiteman no? It wasn't until five weeks before the concert, when Gershwin read Whiteman's announcement of the concerto's premiere, that Gershwin had an "oh, S**T!" moment, and sat down to write "Rhapsody in Blue." For a last-minute, crunch time effort, I think it turned out okay. Pretty amazing what crunch time can produce! I wonder what Gershwin would have written if he'd said "yes" in the first place? I love this story. Wish I could write a book as fast as Gershwin wrote that little "jazz concerto." Melissa, congratulations! I can't believe I've missed the Sawbones books and look forward to reading them along with Heresy. Such a great premise. As a fellow historical novelist (late 1880s), of course I'm a rabid Googler, and I come by it honestly. If one of his four children asked a question at the dinner table, my dad would leap up and fetch one of the dozens of reference volumes in our house to look up the answer. The Online Etymology Dictionary (https://www.etymonline.com/) is one of my favorite sites for checking to see if a certain word was in use in my era, and I use the Google Ngram Viewer a lot, too. But the latest thing I looked up for a book (this one a contemporary mystery)? What drug might mimic signs of an aneurysm, or cause one! And welcome Melissa, looking forward to Heresy! I don't usuall Google in the middle of a book. Like Mark, I don't want to put it down. However, I will Google the actors in a movie in a heartbeat ("Where have we seen him/her before?). Mary, we do that at our house, too! IMDB is our friend! Yes, we Google actors in movies and TV series all the time. So nice to be able to put a name to a face you know you should know. Like Kathy Reel, I've been a Western fan since childhood, always fantasizing about riding off into the sunset. The recent Netflix series Godless fired me up again. Heresy sounds like it's right down my arroyo! Just this morning I fell into a Google rabbit hole, reading the NY Times travel series by Jada Yuan, who is visiting a different part of the world every week for a year. (She came to Cincinnati a month or two ago, as one of the 52 places.) She was recently in Bologna and Matera, Italy, and wrote so compellingly about the Sassi, or troglodyte settlements, that I had to do some more research about them. Fascinating. Mary/Liz, I also Google actors during movies! What a perfect book for our times! Congratulations, Melissa. You got me with: "They were the first and only all-female gang in the American West" - And I love that you're reading about NYC, even if it is fiction - one of my favorite reads is DOWN IN THE OLD HOTEL, a compilation of essays by New Yorker writer Joseph Mitchell. They stand the test of time. Welcome Melissa, and what we need most right now is an all female gang, not just in the west. A big advantage of doing most of my reading on Kindle is that I can look up anything, a word, a title, a phrase, a concept, by simply highlighting it. And I do this all the time. Once in a while, if the Kindle version doesn't tell me enough, I grab my phone and google for more info. Do you know google just celebrated it's 20th birthday? What did we ever do before that? What is hysterical is that, when reading print material, I tap tap tap, trying to highlight and look something up. I practically poke a hole in the Sunday paper doing this. Re the Edward Rutherford books, I think the English ones are best read in order, beginning with Sarum. I keep going back to these books over and over. I admit I never quite got thru RUSSIA tho. It didn't grab me like all the rest. 20 years ago I stood on the battlements of Old Sarum and imagined William the Conqueror camping there with his army. Welcome to Jungle Reds, Melissa! I love historical fiction. Whenever I had to read dry boring history books for classes, I would supplement my reading with historical fiction in the same area of history. Very helpful. I google a lot! Sometimes I see names on the ballot that I am not familiar with. When that happens, I type in their names to learn more about them and find out what their positions are. Melissa's STILLWATER is a favorite mystery - and I hate that I haven't gotten to the sequel yet, I really need to fix that. Reading often leads me to Google - but as Mark says, usually after I have set the book aside. I find it very hard to pull myself away from the page. But I have been known to stop a movie to Google something. In fact, this weekend, we watched a small indie film called LOST CHILD that has its origins in the Tatterdemalion legend. Not knowing this legend, I had to stop and explore. The Ozarks have some very interesting myths! Of course, the movie explained what I needed to know, but I wanted more. Google provided the rest. The ebook version of STILLWATER is currently $1.99. That is quite a bargain for this excellent novel. Thanks for the heads up, Kristopher. Isn't Google great? I most recently Googled restaurants in a city I was passing through. I ended up finding a delightful place, but the portions were huge. Google failed to reveal that part! Oh, googling! If I look at my history, :-) I find "how does temperature affect body decomposition, how do you make a instagram story, and finding Timmy's house. And ain't that the perfect description of my life?? Melissa, I've loved the premise of this book ever since you first told me about it. Can't wait to read it! And happy pub day! The weirdest thing I've Googled lately? Monkey pox. (This, not for the WIP, but for the next WIP.) The good news is it's not usually fatal. The bad news... just don't look at the photos. Melissa, can you tell us a little more about the inspiration for this book? Melissa, you look like the blonde version of one of my cousins! (Maybe we’re related?!) Your books are now on my radar. Since childhood, I have been down so many research rabbit holes that I’m rarely satisfied with what I know; I want to know MORE. As a child I read encyclopedias, dictionaries, atlases, etc. (I still do.) Needless to say, Google is my friend. Last December when I found out the name of the person who ran over me in a crosswalk l, I thought his name sounded familiar, so I googled him. He is not unknown to the local police. I must say that he was extremely apologetic, and very upset with himself. In my job, I frequently had to “find” people, and I used a variety of methods, including Google. I became the office expert on finding information about people. When I start researching, I can’t stop! Librarian here - so, yes, incessant Googler among other resources. I love the premise of your novel! I can't wait to read it. Living in AZ, I have a real appreciation for westerns. And a female driven plot is the best! Congrats on your book, Melissa! I always say that if anything happens to my husband, when the cops look at my search history, they'll arrest me on the spot! Like most mystery writers, my searches are full of bad deeds and the seedy underbelly of life! Melissa has been trying to comment all day! Blogger is not cooperating!